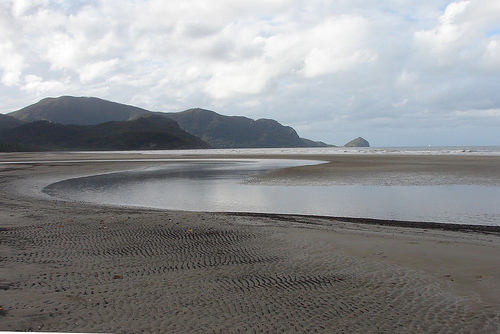 Hinchinbrook Island is in north Queensland. 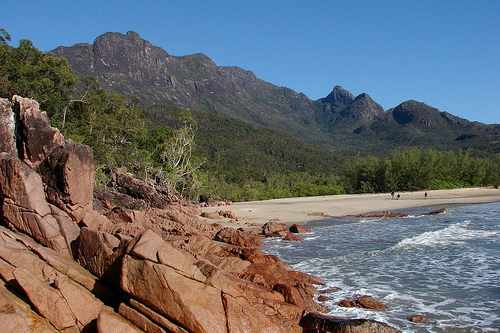 Hinchinbrook is one of the greatest islands in Australia. With mangrove habitats on the western side, lovely beaches on the eastern side, and towering mountains in the middle, it is a great place to bushwalk. 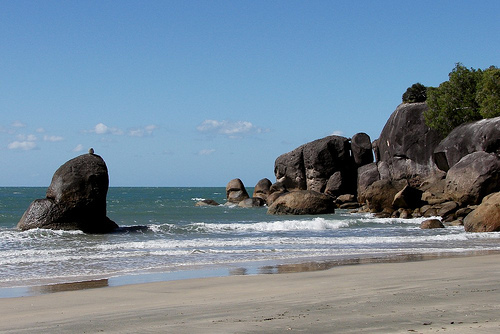 There is a resort in the northern end of the island, but the rest is wild, and the most popular thing is the Thorsborne Trail, a three-day bushwalk through some great rainforests and bays. Here is some information about the island, and in the end of the page is a map of Hinchinbrook Island. 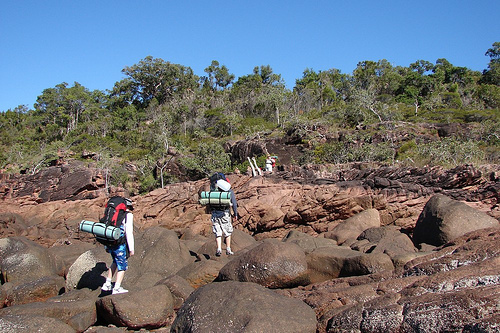 You can always go and enjoy the Hinchinbrook Island Resort in the northern end of the island, but the best way to explore the island is to walk the 32km Thorsborne Trail. It is a walk so popular that it gets booked out a year ahead as campers’ numbers are limited. The best season to do the walk is between May and October, because the rest of the year is very hot and rainy with tropical cyclones and monsoonal rains in northern Australia. Most people start the Thorsborne Trail in the northern end of the island. Ferries from Cardwell take you to a boardwalk leading to Ramsay Bay. It’s a nice walk along the beach, and in the southern end of Ramsay Bay you come to Blacksand Beach. After the Blacksand Beach, the walk passes a creek and then enters an open forest with Melaleuca trees. You can see Nina Peak, and after that the walk goes through a mangrove forest where you have to cross a creek, which is best done during low tide. 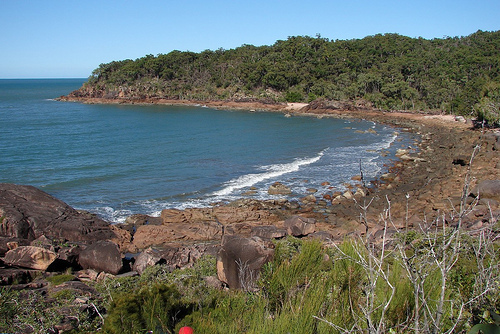 4km from the start of the walk you come to Nina Bay, where there is a camping ground with toilets. After Nina Bay, the trail crosses a rocky section and then climbs a small cliff and goes to Boulder Bay where you get to do some rock hopping. Green turtles are often seen swimming in the water here. The track then continues to the northern end of Little Ramsay Bay, where there is a camping area with toilets. It is 2.5km from Nina Bay to Little Ramsay Bay. This is a 10.5km long section. South of Little Ramsay Bay the trail crosses a creek, and then continues to some rocks where you will do some more rock hopping. After that it goes to the upper edge of the rocks above a sandy beach, and then up to the top of a ridge. There’s a 600m-return side track to Banksia Bay where there is a small camping ground, and after that the main track continues south. It first descends to the Banksia Creek, then goes up again and then descends to North Zoe Creek. 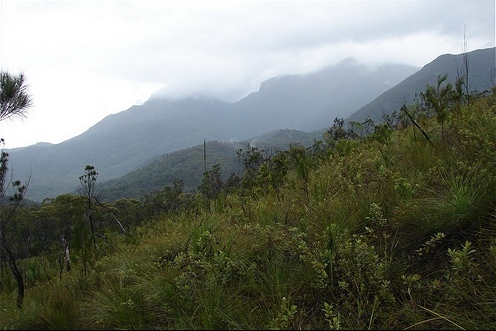 There is an interesting succession through different vegetation types from dry open forest to mangrove swamps, palm swamps and tall rainforest. There are many species of birds around here and you can also see some interesting rainforest plants like climbing palms and sticky vines. The walk then continues to the southern end of Zoe Bay where there are a few campsites and toilets. 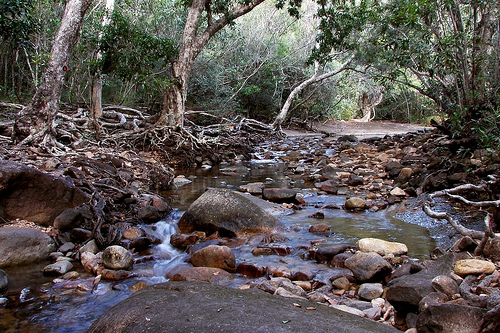 From the Zoe Bay camping site, the walk goes to the beautiful Zoe Falls, and South Zoe Creek where you can see small blue Soldier Crabs. There is some interesting rainforest here, with large Eucalypts as the tallest trees. Because Eucalypts don’t normally grow in rainforests, this indicates that rainforest has invaded the open Eucalypt forest here. There is no camping ground at Zoe Falls. This section is 5.7km long. The track that run parallel to the creek until Zoe Falls, will now turn away from it and climb uphill where there are some nice views of Zoe Bay. At its highest point, 260m, you can see as far as to Palm Islands and Magnetic Island on a clear day. There are some rare blue banksias here and lower down on the slopes of Sweetwater Creek there are she-oaks and grass trees. There is a side-track to Sunken Reef Bay where there is a campsite, and the main track continues to Diamantina Creek. 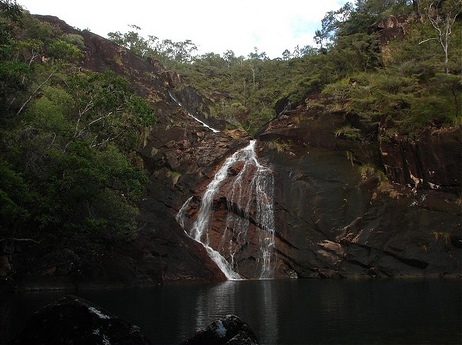 It is only 1km from Diamantina Creek to Mulligan Falls. After the Diamantina Creek, the track goes up a short slope and then descends to the base of Mulligan Falls. It’s the typical lowland rainforest around the falls, and from a lookout point you can see Lucinda and Palm Islands. There is a camping area here, but beware that the rocks are very slippery and dangerous. It is 7.5km from Mulligan Falls to George Point, the southern end of the track. After Mulligan Falls, the trail crosses a few creeks, and then turns to the coast. It first comes to Mulligan Bay where you can camp on the beach, and then there is another 5km walk along the beach to George Point. 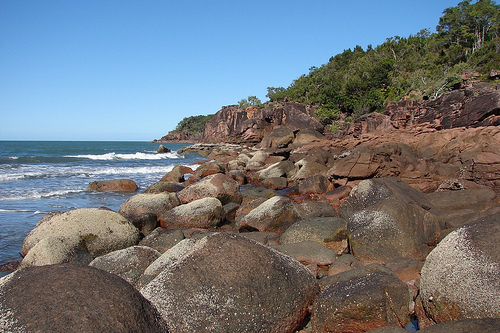 You can organise with Hinchinbrook Wilderness Safaris so they take you from Cardwell to Ramsay Bay, and then pick you up from George Point once you have finished the Thorsborne Trail, and take you back to Cardwell. You have to book all camping in advance with EPA, and because the campers numbers are limited to 40 people at any tone time on the track, the campsites can be booked out as long as a year in advance, particularly during the Dry Season (May – October), so plan your trip well ahead. The only accommodation on the island is the Hinchinbrook Island Resort in the northern end which is not reachable from the Thorsborne Trail. Hinchinbrook Island Ferries will take you there from Port Hinchinbrook Marina. There are a few short bushwalks around the resort, and you can enjoy the Turtle Bay and Orchid Beach, but beware the Box Jellyfish between November and April. Here's a map of Hinchinbrook Island where I have tagged the places that I mentioned on this web page. You can click on the tags to see what places they are, and double-click anywhere on the map to zoom it in and see the places closer. Drag the map to move around, and if you want to see the satellite image with Google Earth, click on "Sat" in the top right hand corner. 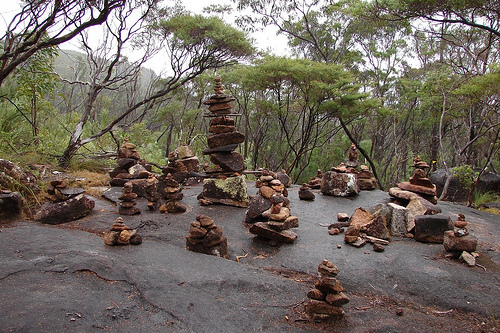 Been to Hinchinbrook Island and maybe even done the Thorsborne trail?